• Bicycles are never permitted to be used school grounds. • Scooters and skateboards should not be used on the school grounds in the morning as students are arriving for school (8:00 – 8:25 am) due to congestion caused by pedestrians and vehicular traffic. 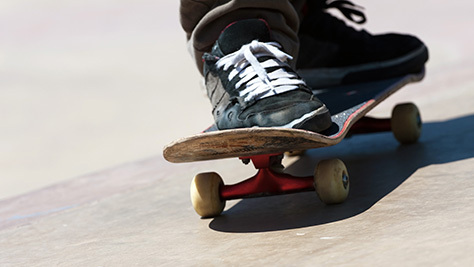 • Students in grades P – 3 may not use scooters or skateboards on school grounds at recess or lunch time due to lack of space. • Helmets must be worn at all times if using scooters or skateboards.